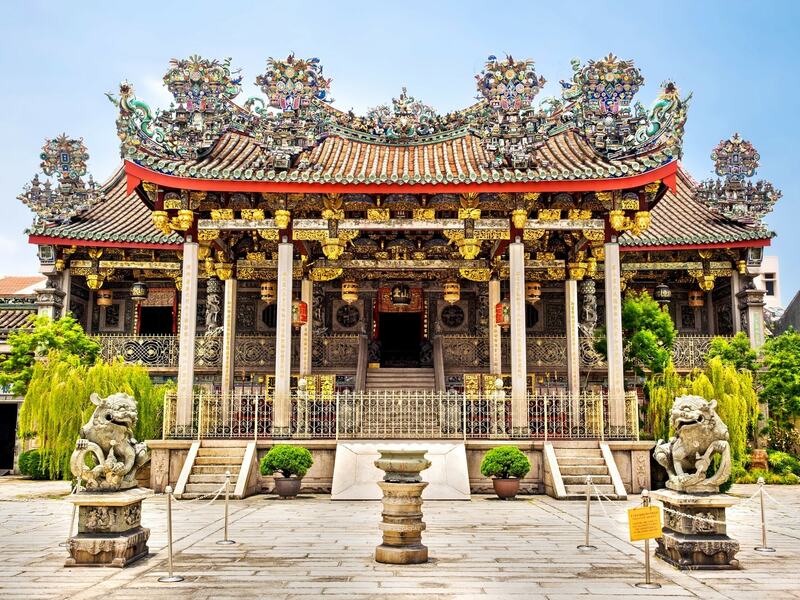 First-time visitors to Penang are often amazed by the vast cultural diversity and rich history found on the small island, about a quarter the size of Hong Kong. 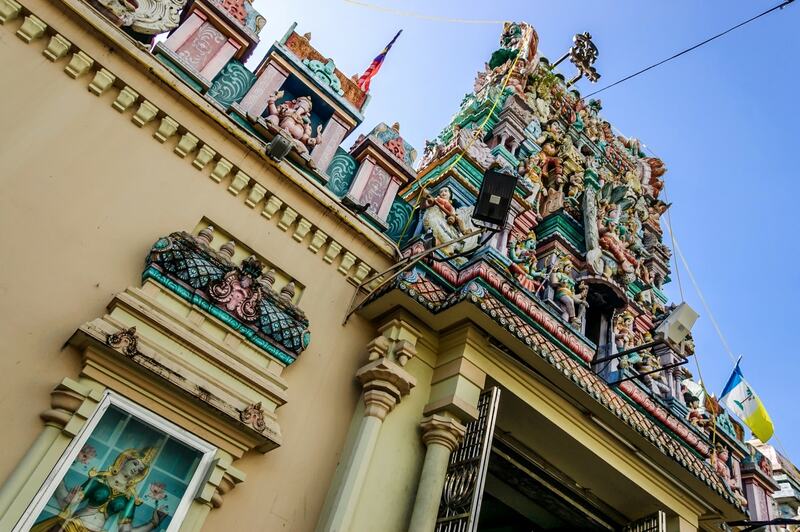 With a population of just over 1.5 million – mostly Malays, Chinese, Indians, Thais, Burmese, Eurasians and a growing number of expatriates – the pace in Penang is far more leisurely compared to Hong Kong or Singapore. Yahoo! Travel called it, “the top 10 islands to explore before you die”. 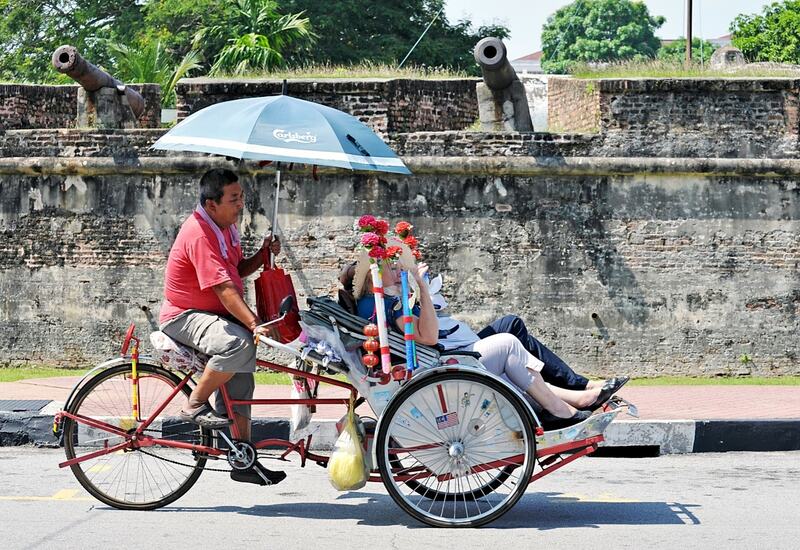 Founded by Sir Francis Light in 1786, Penang was the first British outpost in the region. In 1826, Penang, along with Malacca (or Melaka) and Singapore, became part of the Straits Settlements under British administration. When Malaysia came into being in 1957, Penang became one of 13 states in the country. In 2008, the inner city of Georgetown was made a UNESCO World Heritage site. Today, Penang is famous not just as a travel destination dotted with heritage buildings but also as a food haven for epicureans. Georgetown is best explored on foot, so be prepared for lots of walking and start the day early before it gets too hot. By far the best way to experience Georgetown’s old-world charm is to take a leisurely stroll along the streets. Start at Chew Jetty, a popular tourist attraction by itself, and head towards Lebuh Armenian where you can find the famed street murals. Continue walking towards Lebuh King where Little India is located. 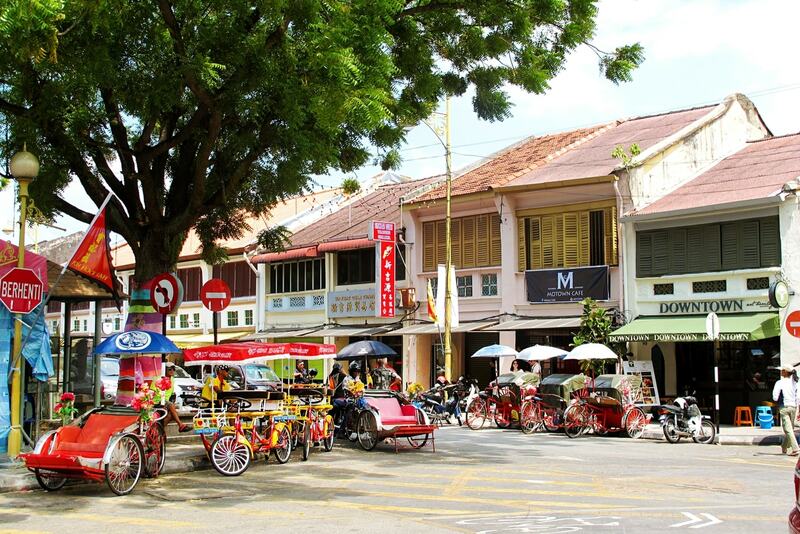 Along the way, you will see some of the trendiest cafes and boutique hotels intermingling with traditional shophouses. 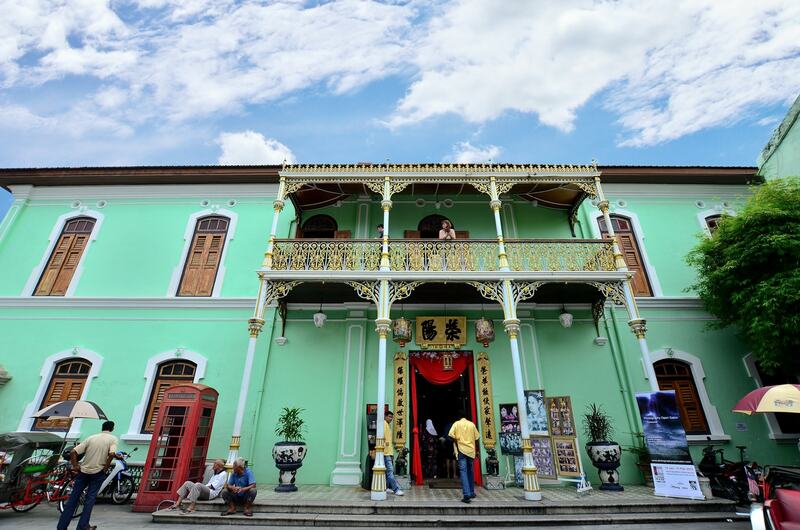 Some of the historic buildings you should not miss are Khoo Kongsi, a clan house that incorporates southern Fujian architectural style with western influences; and the Pinang Peranakan Mansion, a beautiful 19th-century green mansion which features eclectic elements of Chinese, English and Scottish designs. Built by the British East India Company under the direction of Sir Francis Light, Fort Cornwallis was designed to defend the city from sea attacks. Today, the fort is still in good shape and you can see Light’s statue at the entrance as well as a selection of the original cannons. 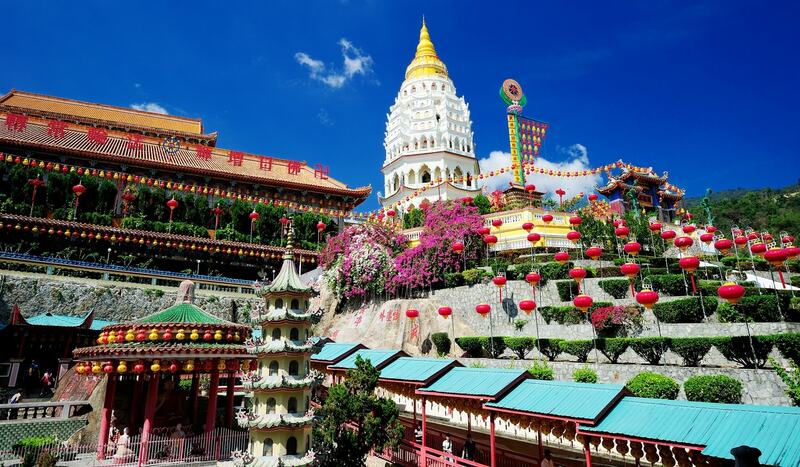 There are many temples in Penang but the most impressive is Kek Lok Si temple, famed for being one of the largest Buddhist temples in the region. Buddhist devotees consider the temple to be an important pilgrimage site which is built to honour the Goddess of Mercy. 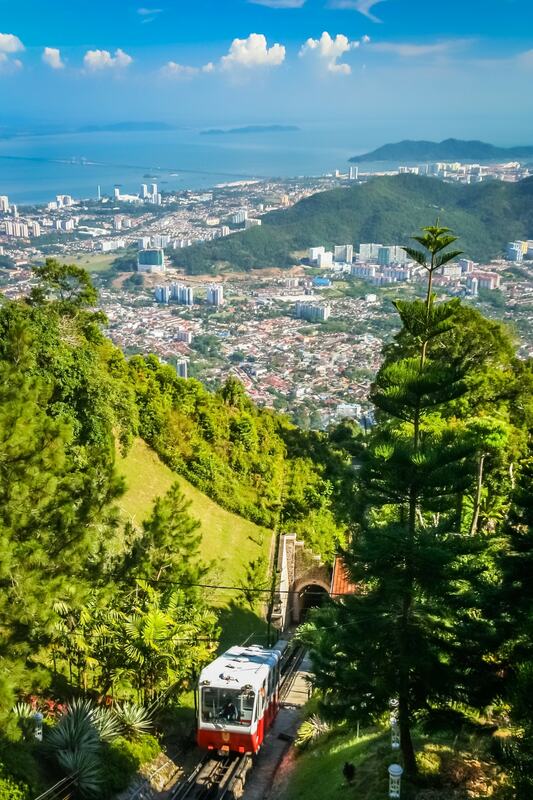 Penang Hill is a popular tourist attraction for good reasons. The hill is tucked away in the forest with scenic views all the way to the top. If you are as fit as a fiddle, you can trek up the hill from Botanical Gardens. Otherwise take Penang Hill Railway’s funicular coach without breaking a sweat. Located at the more secluded northern tip of the island, Tropical Spice Garden is an amazing place to visit if you are interested in local flora, fauna and spices. The garden provides a cool respite from the hot weather and you can sign up for a cooking class which promotes the use of local herbs and spices. Guided tours and activities for children are available. Assam Laksa (spicy noodles) was ranked 7th in CNN’s World Top 10 Yummiest Food. Locals will point you to Joo Hooi Cafe (475 Jalan Penang) to savour this mouth-watering dish but you can also try it elsewhere at the Ayer Itam market, just outside Kek Lok Si temple or inside the Taman Emas Coffeeshop (Gottlieb Road, in front of the Penang Chinese Girl High School). Nasi Kandar is white rice served on a plate with an assortment of side dishes which can range from fried chicken, curried beef and lamb to fish roe, fried prawns or squid. The choice of vegetables can be brinjal, okra or bitter gourd, among others. The rice is usually topped with a mixture of curry gravy. Your culinary adventure would not be complete without savouring this Penang specialty popularised by the Indian-Muslim traders from India. Some of the best Nasi Kandar on the island can be found at Craven A Cafe (4 Jalan Dato Keramat), Kassim (14 Jalan Gurdwara), Kedai Kopi Merlin (1 Lebuh Penang) and Sabuhan (Jalan Burma). 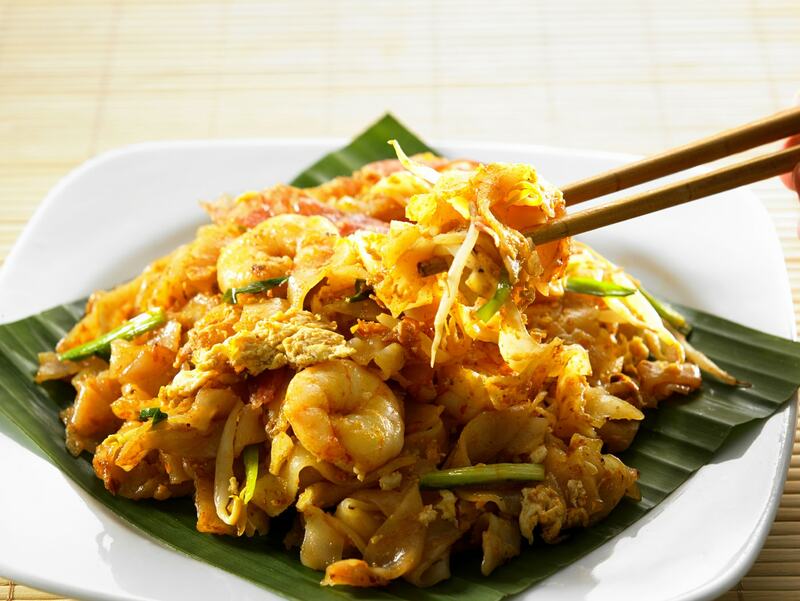 Char Kuey Teow (which may be spelled in various ways) is basically flat noodles fried with prawns and cockles, preferably over a charcoal-fired wok. The unique fried noodle dish is common on the island but the best ones can be found at Sin Hwa coffee shop (Jalan Burma), Sisters (Jalan Macalister), Lorong Selamat stall or Ah Hoe (junction of Jalan Carnarvon and Lebuh Melayu). 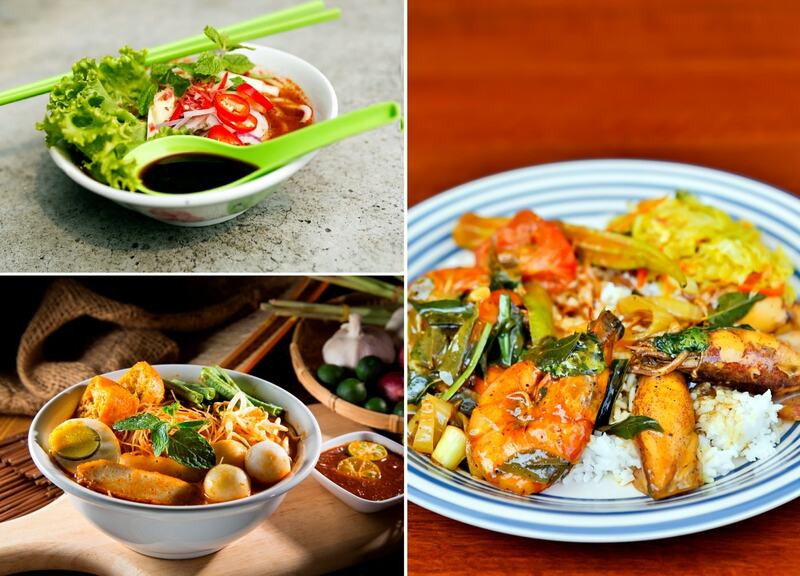 Nyonya- or Peranakan-style dishes is a product of the mixture between Malay and Chinese cooking. The dishes are commonly laden with an assortment of herbs and spices based on closely-guarded recipes passed down through the generations. Penang is the birthplace of this unique style of cooking and the best places to sample the unique dishes are Little Nyonya Kitchen (179 Lebuh Noordin), Auntie Gaik Lean’s (1 Bishop Street) and The Legend Nyonya House (2 Gat Lebuh Chulia). If you have time to visit just one place to sample most of the street foods that are famous in Penang, pick New Lane (Lorong Baru) hawker centre. 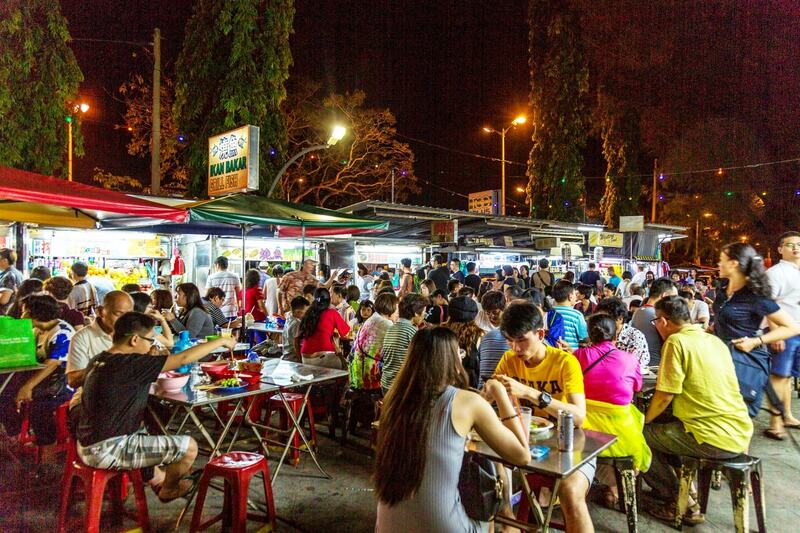 The stalls spring to life at dusk and dishes are served piping hot from small pushcarts to your wobbly makeshift table out on the street. The best way to experience this local culture is to gather a group of friends and order dishes from as many stalls as you can. Other alternatives are Chulia Street and Gurney Drive. The island of Penang is located off the north-western coast of Peninsular Malaysia. From Kuala Lumpur, it is a five-hour road trip by car or bus. If you are driving, you can use the old Penang bridge (opened in 1985), or the newer second bridge (opened in 2014). There are also flights into Penang International Airport from Kuala Lumpur, Singapore, Bangkok, Phuket, Jakarta, Medan, Banda Aceh, Surabaya, Hong Kong, Ghuangzhou, Doha and Ho Chi Minh. 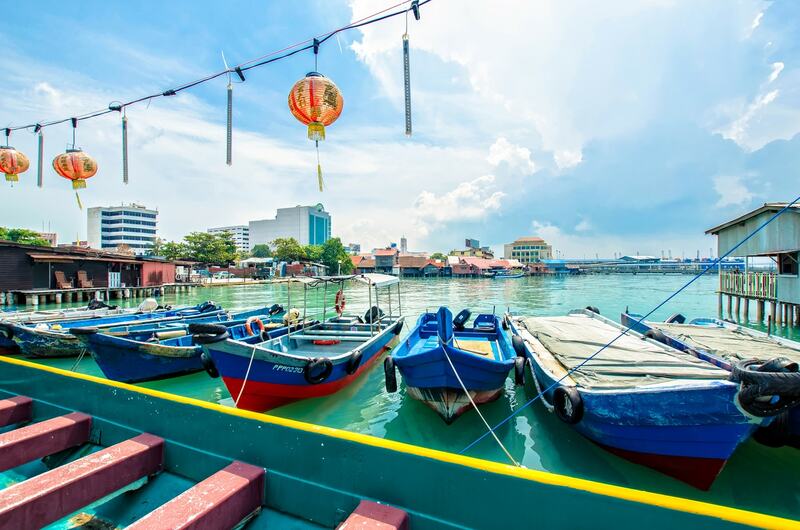 Penang is popular all-year round although it gets busier during the summer holidays and the year- end festive season when more tourists arrive on the island. 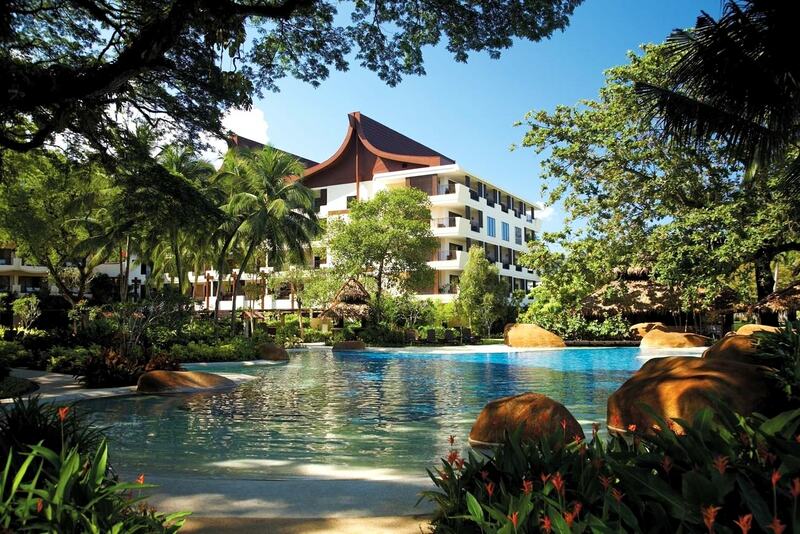 is possibly the most luxurious beachfront hotel in Penang although it is located outside Georgetown. If you prefer a heritage hotel within Georgetown, you could try Cheong Fatt Tze Mansion or The Edison. Fig Tree Hill Resort is recommended for those who prefer being surrounded by greens in a village setting. For budget accommodations, head towards the Love Lane area and pick one of the many hostels there. Ryokan Muntri would be a good pick in that area. A unique heritage, weaved into a laidback island vibe that invigorates the soul ... with some of the best food on the planet thrown into the mix – THIS is Penang, and it’s time you experienced the magic in all her glory.